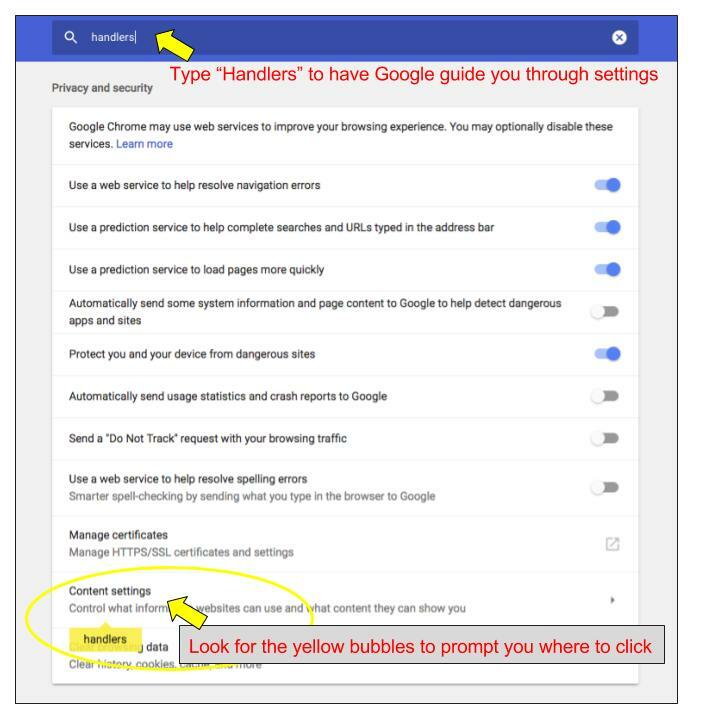 While sometimes small on the screen, this handler symbol is generally located near the star (bookmark symbol) in the omnibar. 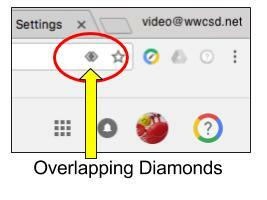 Look to the right of the omnibar (by the bookmark star) and you should see a set of “overlapping diamonds”. 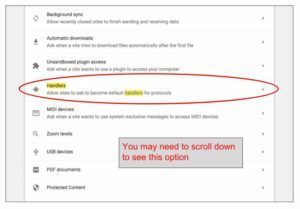 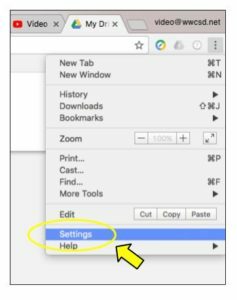 Click on them to see a drop down menu and “Allow” Gmail to be your default email.